7508 Chase Way Bessemer, AL. 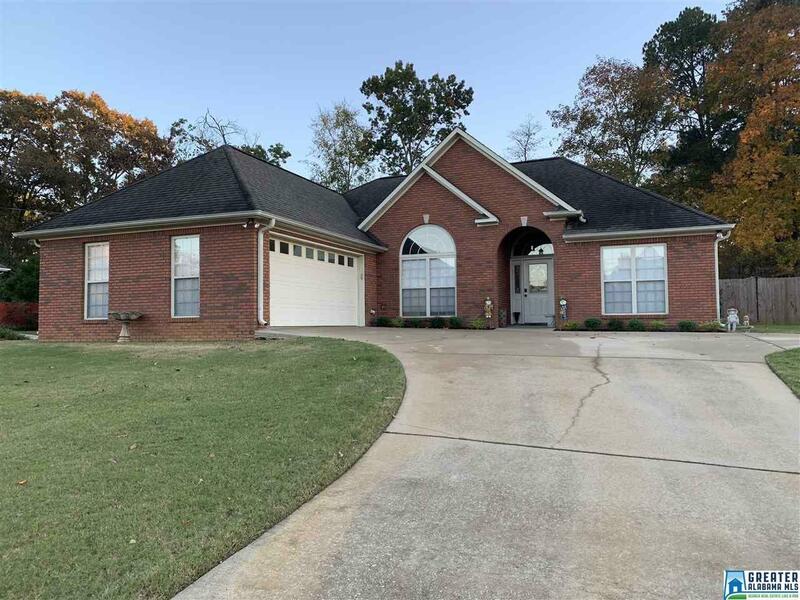 | MLS# 833360 | Avast Realty LLC | 205-951-8992 | Your Ultimate Resource in Real Estate. Let's guide YOU home! What a home for you!!! Close enough to city, shopping, restaurants, and interstates, but all the quietness of country living. This beautiful home is located in Rock Creek and is a well-kept 4-sided brick home with 3 bedrooms, 2 full bathrooms and a large, flat fenced backyard. There is brand new hardwood laminate flooring throughout and brand new carpet (November 2018) in all the bedrooms too! Large Dining Room with vaulted, smooth ceilings and a Great Room with a beautiful fireplace and mantle! New stainless steel dishwasher, microwave and stove/oven! Large Master Bedroom and Master Bathroom with a double vanity, walk in closet, big jetted garden tub, and large walk in shower! Large attached 2 car garage and tons of extra storage space in the attic too with stairs going up to the attic! Kitchen has breakfast nook and pantry! HVAC new within past 5-7 years. 30 year shingles on roof! The house also has a large covered patio in the back to sit in the quiet and private backyard.